On the website, Murray claims that Lucas and “a few other Oklahoma and other States’ Congressional Members,” were executed “on or about” Jan. 11, 2011 in southern Ukraine. 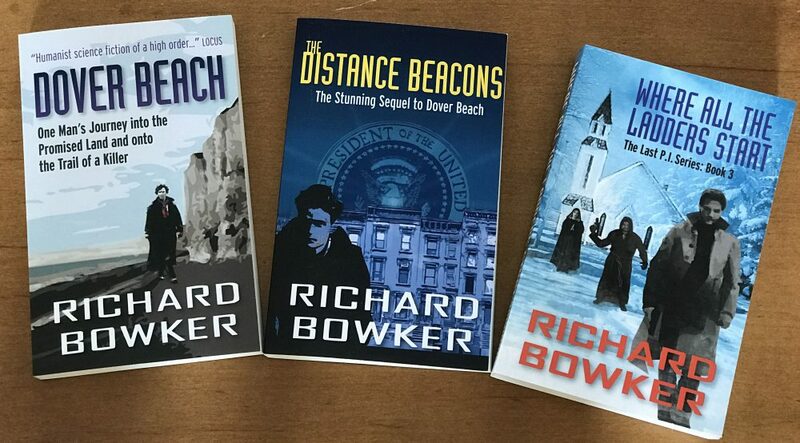 While maintaining a highly readable pulp-fiction style, Bowker takes the narrative through a gripping array of turnabouts, doublecrosses and twists. Readers will be guessing the story’s outcome until the very end. I’m not sure exactly what I expected when I bought this book, but I didn’t expect it to explore terroristic politics, development of artificial intelligence, and some of the challenges of AI/human relationships … all without becoming bogged down in the esoteric nature of the technologies involved. It starts out more or less the way I thought it would, with various entities coming together to make it possible (and plausible) to substitute the President with an android. Almost everything after that, though, was a surprise … with plenty of twists and turns and misdirections and characters developing in ways you probably won’t expect. This is a good read, and amazingly so given how long since its original publication. It’s not too often that near-future books involving technology or politics (and especially a combination of the two) are written such that they don’t become badly dated in a decade. This one is still fresh, a fun read. 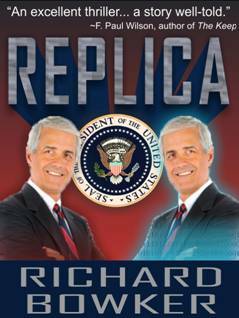 This entry was posted in Ebooks, Life is stupider than fiction, Writing and tagged fiction, politicians, politics, robot politicians, robots, science fiction by Richard Bowker. Bookmark the permalink.